sponsored by Master of Mixes. 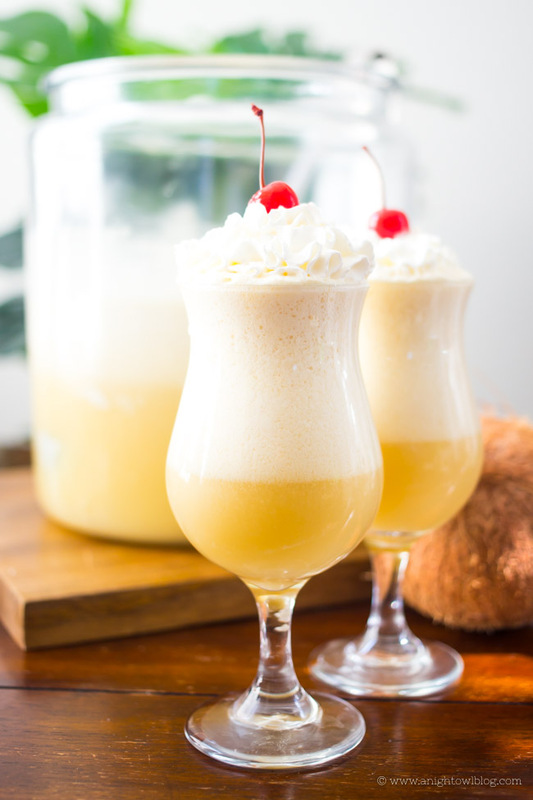 If you love Piña Coladas…then you’re going to love this Piña Colada Rum Punch Recipe! Easy to make and perfect for parties! Hi friends! Is it warming up where you live? I know for some of my friends winter is giving it one last go and dropping temps and even snowing a bit! But here in sunny Arizona we’re enjoying our sweet days of spring and gearing up for our typical hot summers. 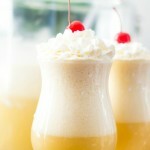 And that has me craving the flavors of warm, sunny days and trips to the beach – that’s right, a piña colada! 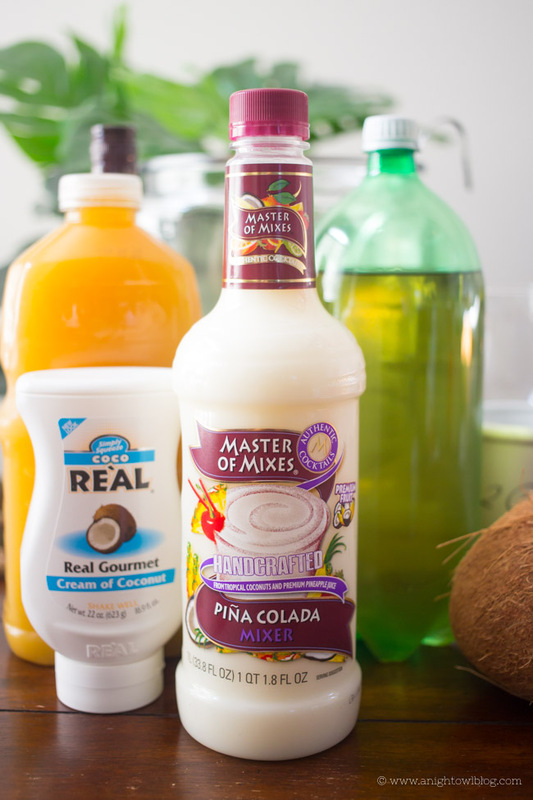 And if you’re going to be entertaining this spring or summer we’ve teamed up with Master of Mixes to bring you a fun party drink – this Piña Colada Rum Punch! We’re big fans of Rum Punch Recipes here. Now I’m sure you’ve heard of Master of Mixes or seen these bottles on the shelf. Well next time you do – grab one or two! Since the early 1970’s, Master of Mixes has scoured the earth’s premier growing regions, sourcing only renowned varieties of each fruit. Their fruit is picked at peak ripeness when it is the most plump, juicy, and fragrant and use an exclusive “gentle processing” method that does not overcook the fruit, resulting in a fresh, true-to-fruit flavor. In order to deliver a cocktail experience rivaling that produced by some of the world’s foremost mixologists, they combine premium fruit juice and purees, together with natural sweeteners and pure essential oils. Master of Mixes allows anyone to become a Mixology Pro and mix scratch quality, hassle-free cocktails in just a matter of seconds. And with so many amazing flavors like their new Blood Orange Margarita and Blue Curaçao Cocktail Essentials, to classic Strawberry Daiquiri mixers, there are so many ways to master your mixology skills, right at home. And that’s where our favorite Piña Colada mixer comes in! This punch is made EASY with Master of Mixes, ensuring you can spend all of your time as hostess with your guests instead of behind the bar. 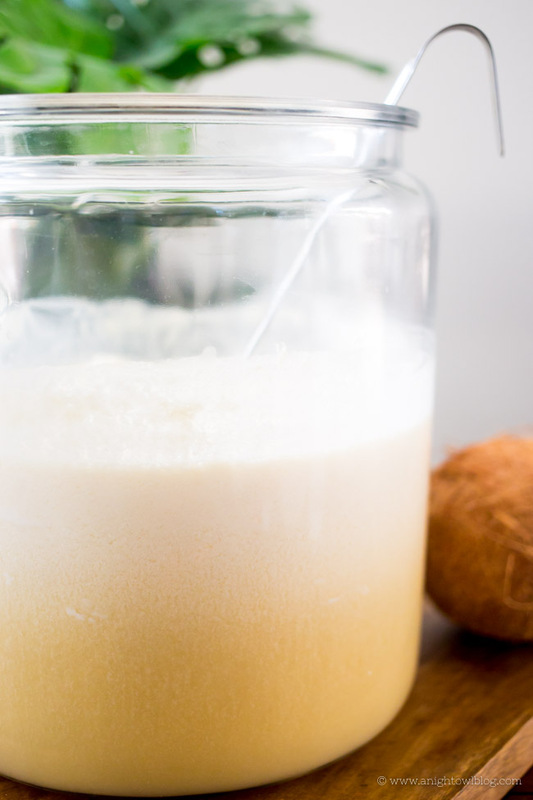 For our Piña Colada Punch you’re going to use: one Master of Mixes Piña Colada mixer, one bottle of pineapple juice, 2 cups of Malibu rum (or you could use any tropical flavored rum), coconut gelato or Coco Reál Cream of Coconut and finally some ginger ale. 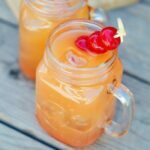 If you love Piña Coladas...then you're going to love this Piña Colada Rum Punch Recipe! 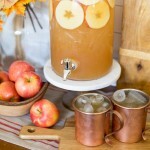 An easy to make batch cocktail, it's perfect for parties! 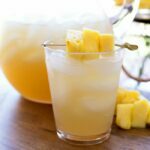 Add Master of Mixes Piña Colada mixer, pineapple juice and rum to a large jar or punch bowl and stir. Add scoops of coconut gelato or Coco Reál Cream of Coconut. Serve in hurricane glasses topped with whipped cream and cherries. Enjoy! For party prep, simply make sure all of your ingredients are chilled and you can whip our Piña Colada Punch up in just minutes! When serving, small hurricane glasses topped with whipped cream and cherries just add that final touch. Now are you ready for summer like I am? I knew you would be! 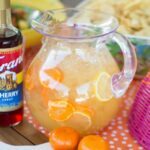 So whip up a batch of our Piña Colada Rum Punch for your next get together with Master of Mixes! Which Master of Mixes do YOU want to try?